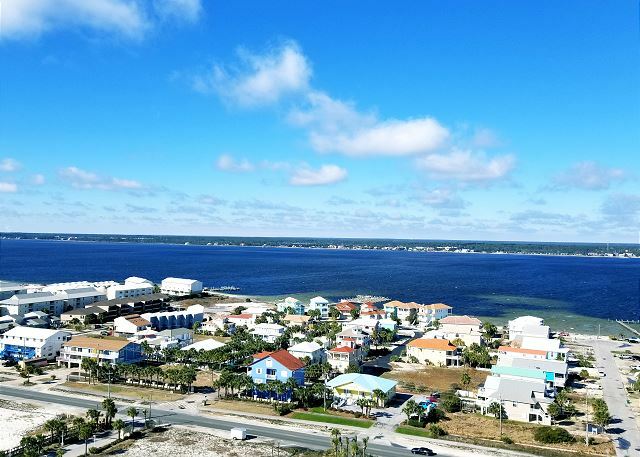 FREE Beach Service March - October! 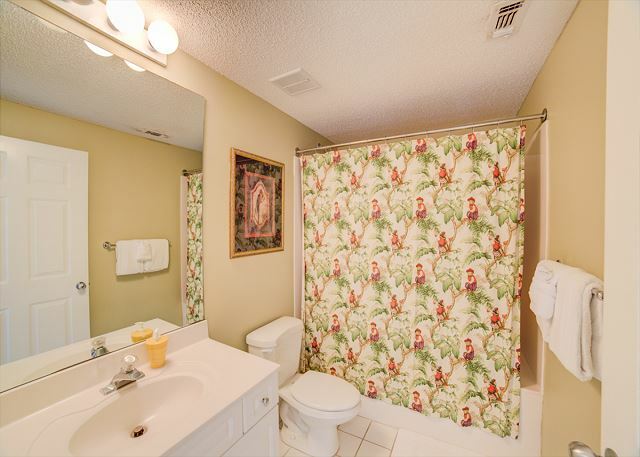 Comes with two chairs and one umbrella! 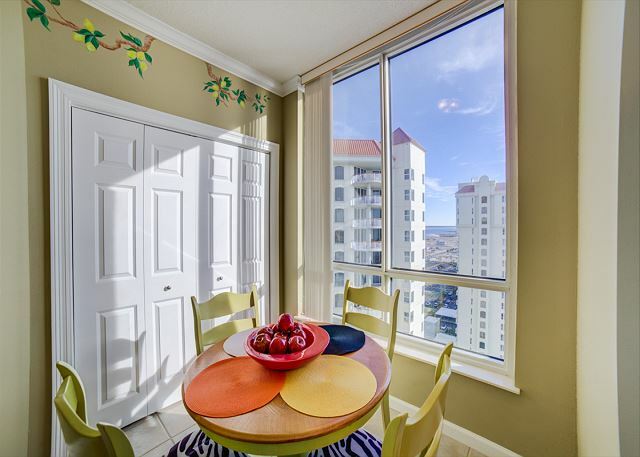 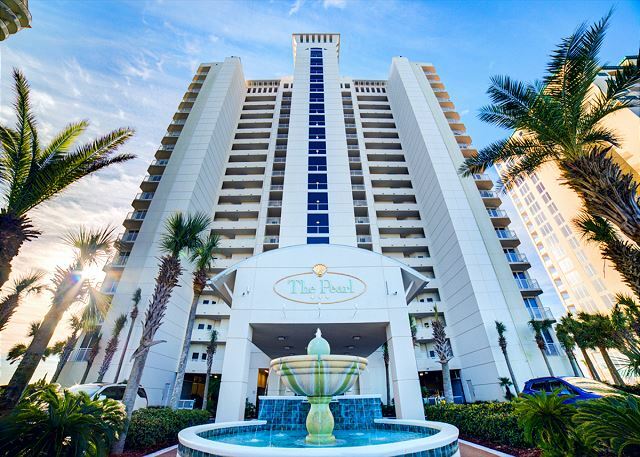 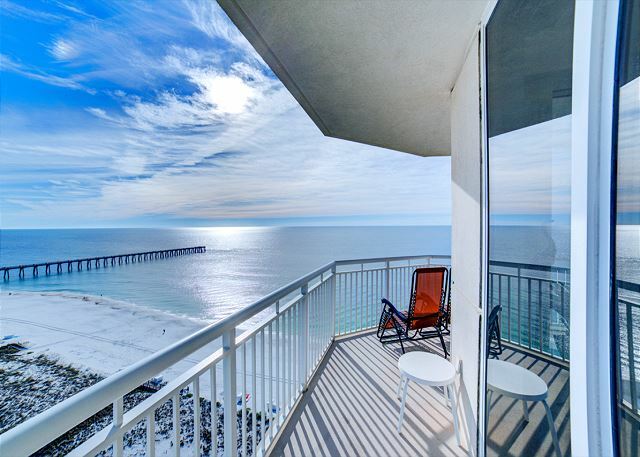 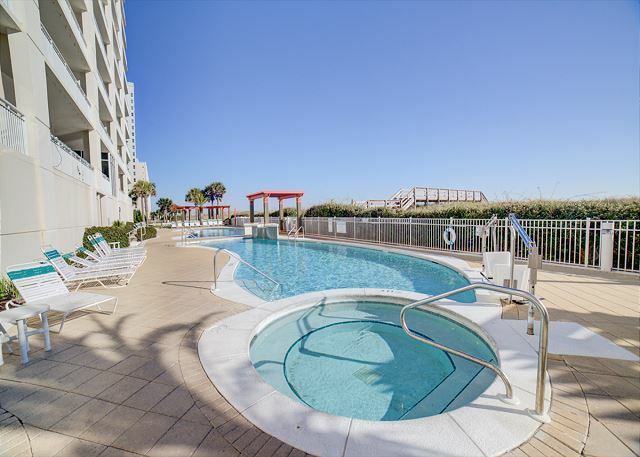 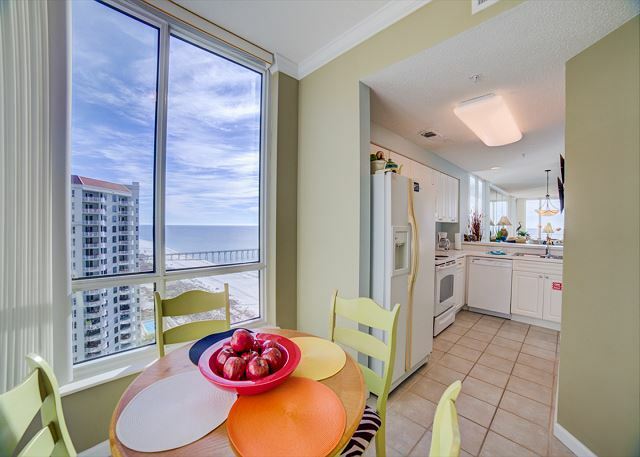 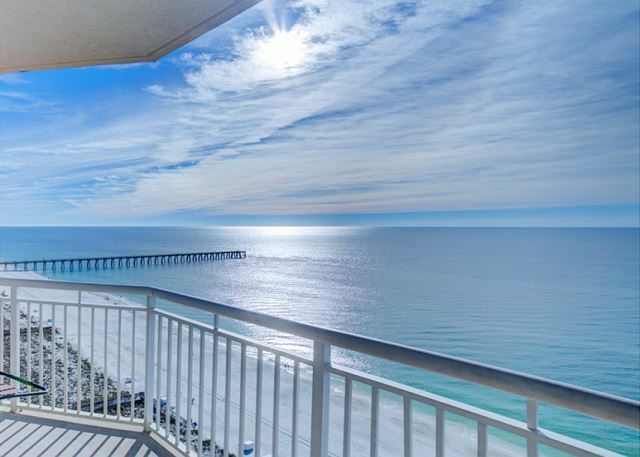 New to our rental program, this 16th floor gem at The Pearl of Navarre offers stunning views of Navarre Beach and the Gulf of Mexico! 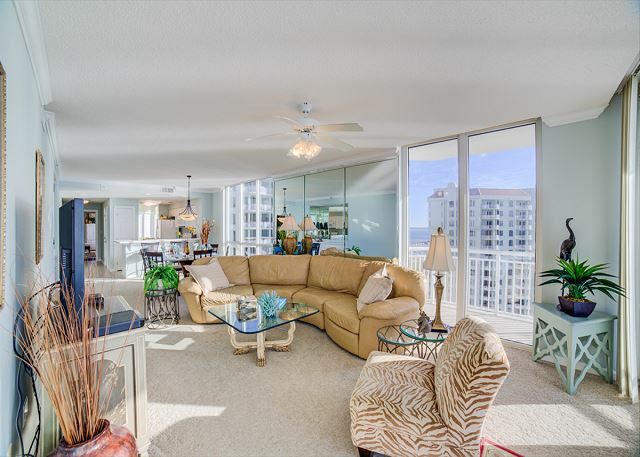 Wonderful layout with three-bedrooms, three-baths, large kitchen, dining and living area, all enjoying the views. 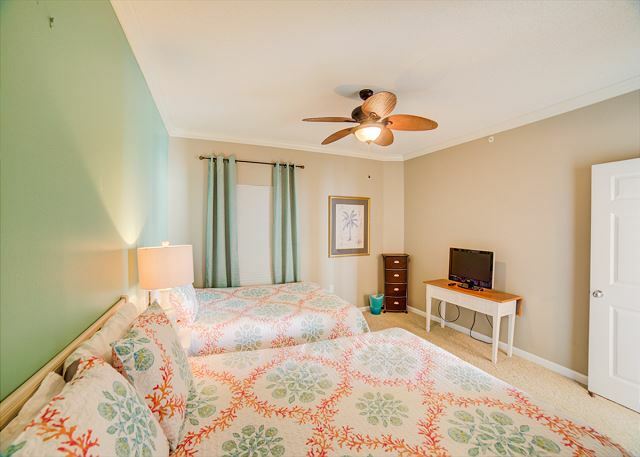 A king in master, two queens in second bedroom, a queen in third bedroom to sleep eight. 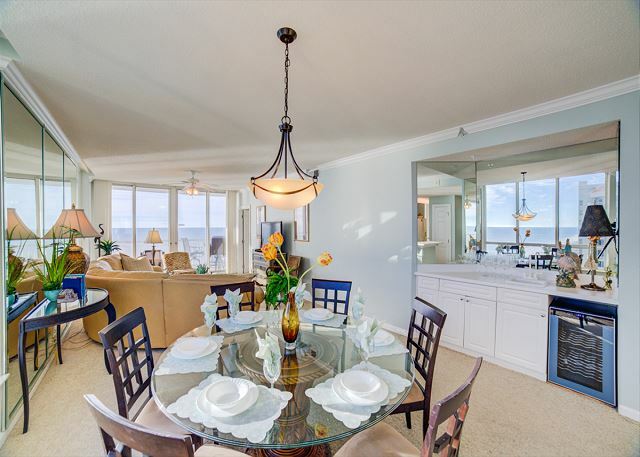 The dining room and living room offer panoramic views of the Gulf! 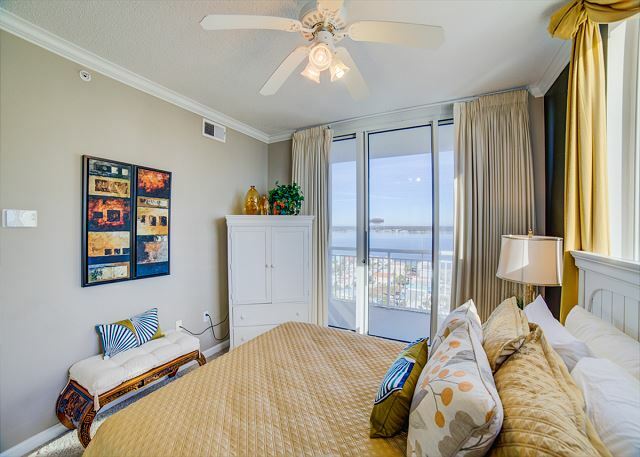 At the end of a sun-soaked day on the beach, there's entertainment for everyone with flat screen TVs in every bedroom and in the living room. 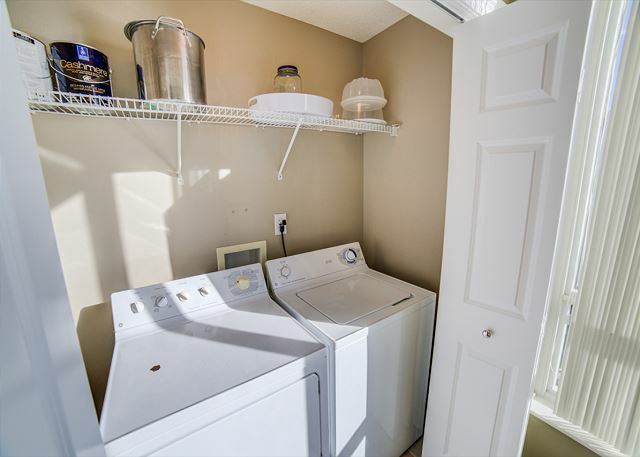 Washer/dryer in condo. 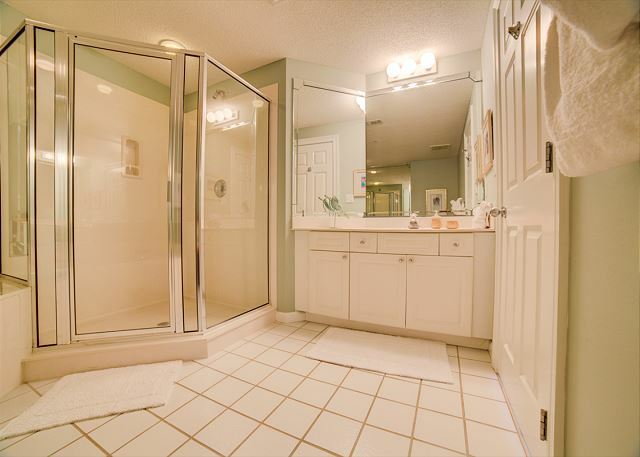 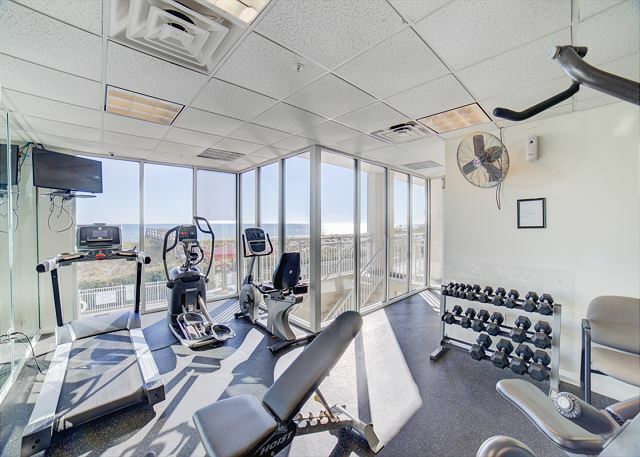 The Pearl of Navarre has a fitness room and Gulf front heated pool with hot tub.